This Recipe is really easy. 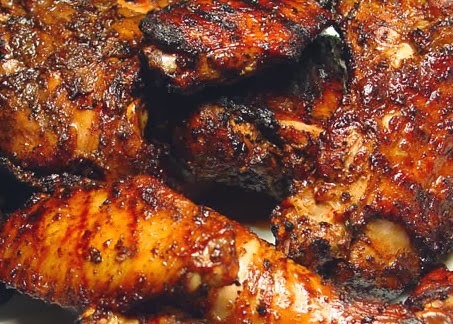 a great Jerk chicken from "Jamaican Man". Coming Right off the grill, to your plate with those side dishes of your choice. 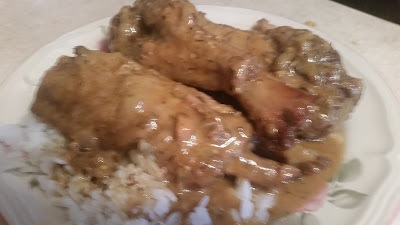 Please believe me when I say it is better than Bar BQ Chicken. In a large bowl, combine the allspice, thyme, cayenne pepper, black pepper, sage, nutmeg, cinnamon, salt, garlic powder and sugar. With a wire whisk, slowly add the olive oil, soy sauce, vinegar, orange juice, and lime juice. Add the Scotch bonnet pepper, onion, and green onions and mix well. Add the chicken breasts, cover and marinate for at least 1 hour, longer if possible. Preheat an outdoor grill. Remove the breasts from the marinade and grill for 6 minutes on each side or until fully cooked. While grilling, baste with the marinade.